Added on March 29, 2013 by John Sturr. This camera has been on my mind since the announcement a few months ago. I have big cameras, the Nikon D2h, D3s, and medium sized cameras like the Sony Nex-7. But I wanted a smaller and or small camera. I've had Canons, and the early Canons were some of my favorites - the S410 for instance was an optical performer - and I loved it and then graduated to the SD780. But I noticed that Canon's sensors were not performing as desired - and in the mean time I had to send that new SD780 to Canon for a sensor swap -- the skin tones were much too red and subjects almost became translucent. I've thought about Nikon -- but never really considered it - until the P330 and what swayed me was the f1.8 lens. And that's really about it - the lens - it's all about the lens. And as it turns out -- this P330 is a Winner. There I said it -- it's almost crazy good. If it had the build quality of a Canon - it would be even better. Here are some of my thoughts - with video. 1 - It's lightweight and the frame feels very flexible and cheap. 2 - The interface is un-intuitive. Use the wheel to move backward thru menus / don't hit menu to default back. Caveat - I'm ingrained to the Canon Powershot interface - shame on me. There is an FN button on the front which is slightly programmable. 3 - Shooting indoors with low light - is slow - and not very "Snappy" - shooting everything at auto ISO although f1.8 is nice to have - most of what I shot was a iso 200-400. Maybe it wasn't a fast aquire of focus because I was using very challenging indoor light. 5 - Battery charging is confusing - their USB cable is proprietary - epic fail. A plug adapter is included for the USB cable. An individual charging adapter similar to Canon would have been a better solution. 6 - Bottom Left corner of the display doesn't display ISO dynamically - I can't see what it was until I hit the play button to review the shot. 7 - Movie settings are confusing - 1080p30*, 1080p30, 1080/60i, 720/30p, iFrame 540/30p, 480/30p, HS 480/4x -- so.. .where is 24p ? 8 - Instruction Manual is disappointing - there are more pages spent on setting date and time and no pages describing movie settings - epic Fail. There is no electronic version on the NikonUSA web site - Epic Fail. 9 - Images appear crisp and sharp - at 100% on screen they are excellent - at the higher ISO's they do show some crunch - considering this sensor size I think this is excellent. Images are very, very impressive I'm really loving them. Sharp - sharp - sharp !! There is even some Bokeh - when shot wide open. 10 - From viewing in a quick download of Nikon's NX - the RAW appears to look the same as the JPG at 100% - I will have to spend some time with that. Raws are 25mb and jpgs are approaching 5mb. 11 - Write time speed to the card isn't impressive and actually pretty sluggish for both jpg and raw. There was a request to publish images of higher ISO - so here are some at 800 and 1600. Focus point is the cat in the left center. This exercise was interesting - as very quickly these images at this high iso became very "crushed" in the details and exhibited a "Plastic" look. This 1600 looks very similar to what my D3s would be at 6400. Interesting. And -- 800 and 1600 look the same. Also -- I've had two malfunctions in the last 48 hours. The first was when powering off and the lens would not retract -- the second was trying to figure out how to get past 800 iso in the menu. I couldn't scroll past 800 -- it looped back to Auto. I powered off -- removed the battery, powered back on - inserted the battery - and then powered up. Same condition. I had to reset all settings to default, from factory in order to get past iso 800 in order to get to the selections of 1600, 3200, hi1 and hi2. I'm glad those on the DPreview brought up the fact that these first images are a bit crunchy because of the in camera settings of - Sharpness, and Picture control and Noise Reduction. This set is with the following settings. Sharpness = 0, Picture Control = Neutral, Noise Reduction = Low. I have two sets of photos - the in camera JPG's and the Nikon NRW's or (Raws) - and I'm a bit disappointed in myself where I didn't do this Raw and JPG comparison in the first place. 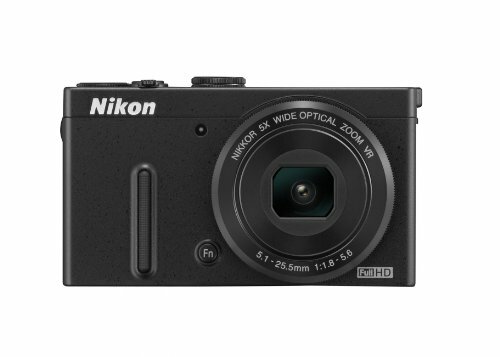 I have the DPreivew Nikon CoolPix forum to thank for keeping me on track. This is all said - because these results are - crazy dramatic and I'm glad I didn't miss these results by not shooting NRW. And in my opinion the performance of this very small sensor at these ISO's is really good. The NRW's were pulled into Nikon's ViewNX (free on Nikon's site) and developed with the following settings. Sharpness = 5, and ColorBoost = 16 and then converted to JPG.